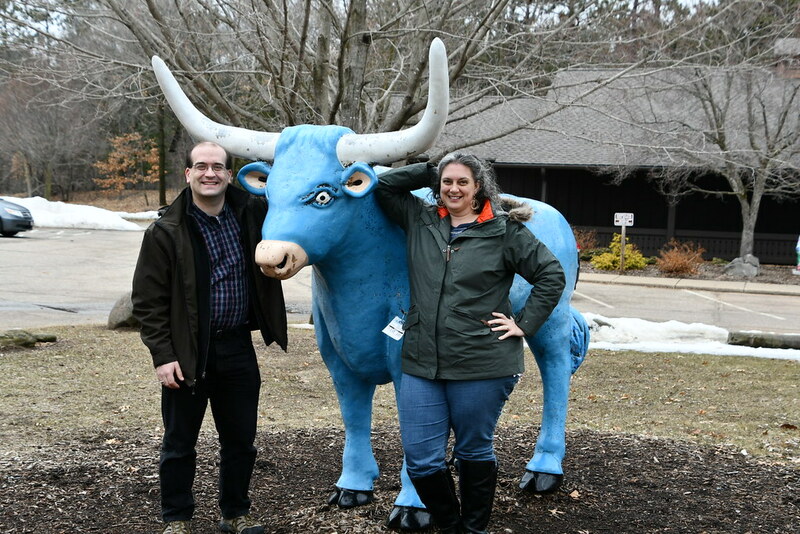 It had been a long time since I had visited Paul Bunyan and his blue ox, Babe, in Eau Claire, so we took the opportunity to renew our acquaintance. 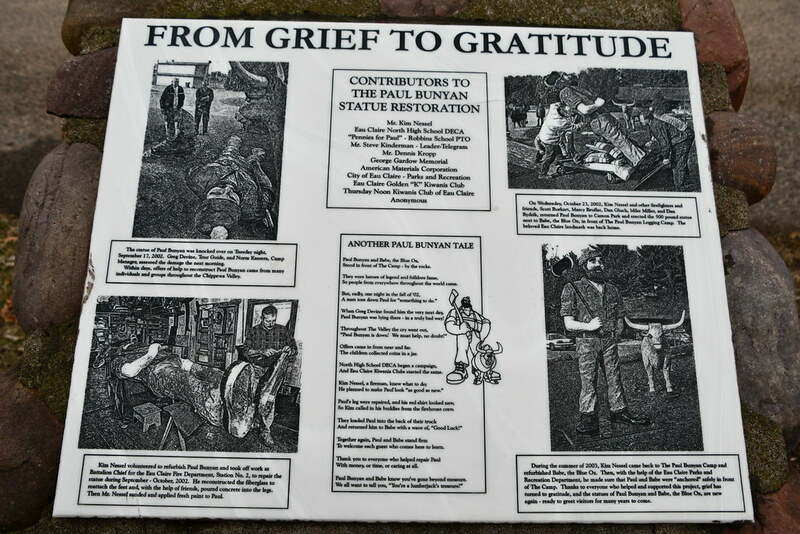 I had visited previously almost 28 years prior, and you can see those photos here. 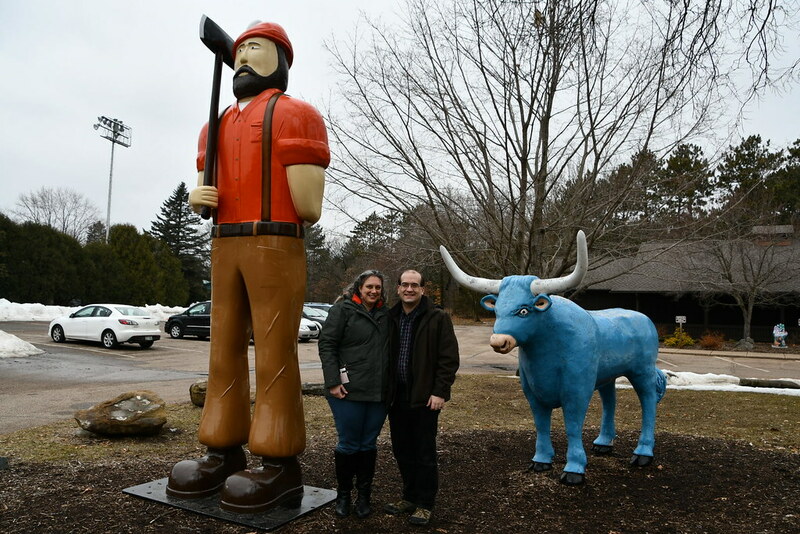 We were somewhat surprised by the "new" Paul Bunyan on location. 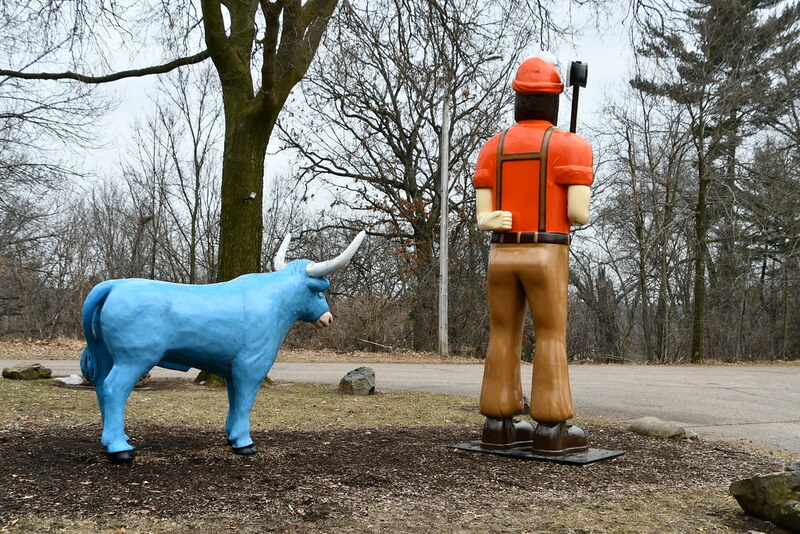 This new Paul Bunyan seems a little more mechanical and streamlined and less friendly than the Paul we saw in 1990. His stumpy looking arm behind his back is very awkward looking. Why would such a great man with such a great ax be walking so rigidly with his arm behind his back? It makes him look like he amputated his forearm with a misplaced swing of his ax. 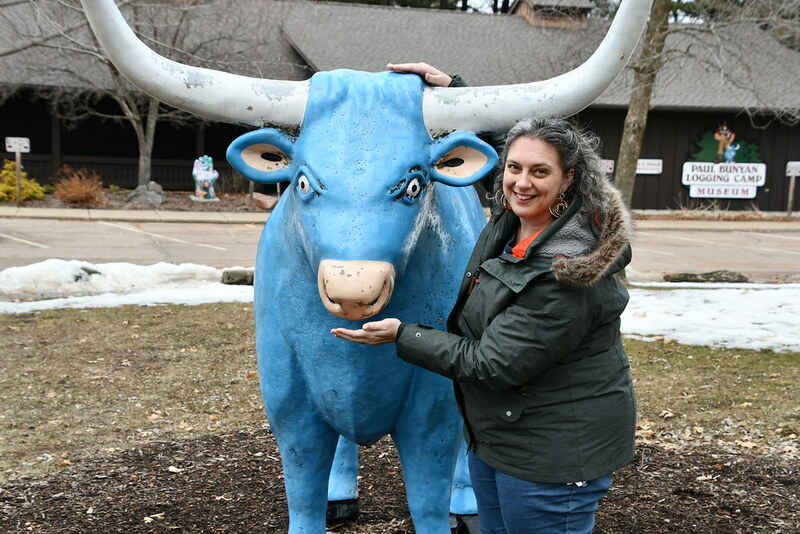 However, Babe was still the same Babe, so it was good to see him again in all of his blue glory. From this back view, you can see the rest of Paul's arm. 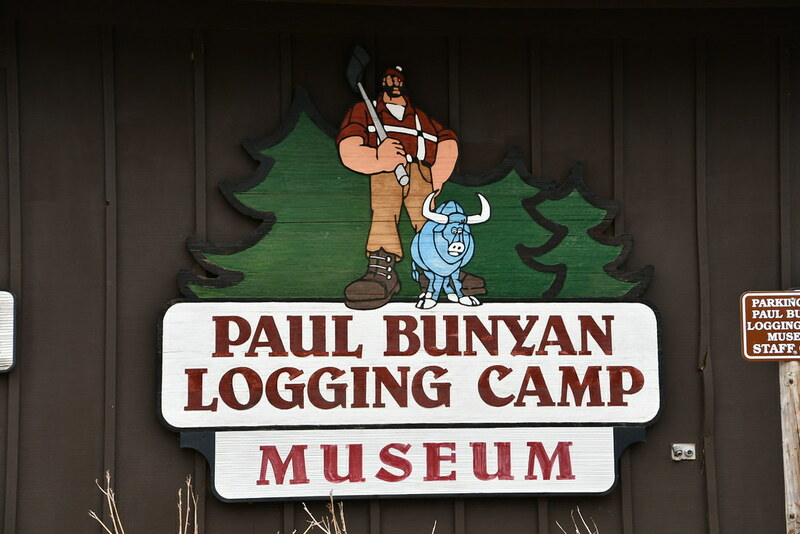 The story of repairing the old Paul Bunyan before he was subsequently destroyed. Of course the museum was closed when we came by--it's always been closed when we've stopped here.